Kim achieved VTS (Anesthesia/Analgesia) status in 2004. She has lectured at many local and national conferences to veterinary professionals to further their knowledge of anesthesia and analgesia. 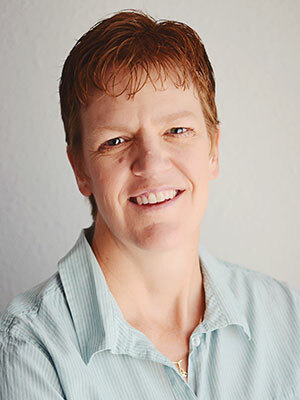 She was named the WVC Veterinary Technician Continuing Educator of the Year in 2011. She also co-authored the AAHA Anesthesia Guidelines for Dogs and Cats and is a contributing author to Anesthesia for Veterinary Technicians and Pain Management for Veterinary Technicians and Nurses. She started her own business, PEAK Veterinary Anesthesia Services, in 2013 (www.peakvas.com). She strives to advance anesthesia knowledge and standards of care through advanced training and case management. Kim is currently the President-Elect of the Academy of Veterinary Technicians in Anesthesia and Analgesia. The induction phase of anesthesia (along with the recovery phase) is one of the most likely times that a patient will experience potentially life-threatening complications related to anesthesia. The anesthetist must understand the cardiopulmonary effects of the anesthesia induction drugs in order to minimize the unwanted side effects and facilitate a smooth and rapid transition into general anesthesia. The goals of the induction phase of anesthesia will be discussed, as well as the advantages and disadvantages of the induction drugs available.